Most tire manufacturers are developing tires in the “tweener” category, tires that are more aggressive than a traditional all-terrain yet quieter than a mud-terrain. And while Mickey Thompson definitely has that demographic well and truly covered with selections like its Baja ATZ P3 tires, it is super-refreshing to see an off-road tire company give the middle finger to road manners, DOT regulations, and a 60,000-mile tread warranty in the name of insano off-road traction. Traction—we’ll say it again. 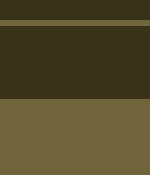 That’s what real off-roaders are after. Traction and strength. And the new Mickey Thompson Baja Pro X delivers both in spades with little regard to anything else. Bravo, Mickey Thompson! The Baja Pro X is the most aggressive tire we have ever seen for the light truck market. So aggressive, in fact, it isn’t even legal for road use. But then again, if you run these tires you don’t really need roads. Mickey Thompson’s Sidebiters popularized the sidewall tread that is commonplace in the market today, and the Baja Pro X actually has Treadbiters! Game on. Like Henry Ford’s Model T, the Baja Pro X is available in any color you want as long as it’s black. It is only available in a 43x14.5-17LT size that is aimed directly at the rock bouncer market popular in the South. “We designed the Baja Pro X for extreme use: rock bouncing, mud bogging, and more. They can handle it all,” explains Jason Moulton, senior product development manager for Mickey Thompson. 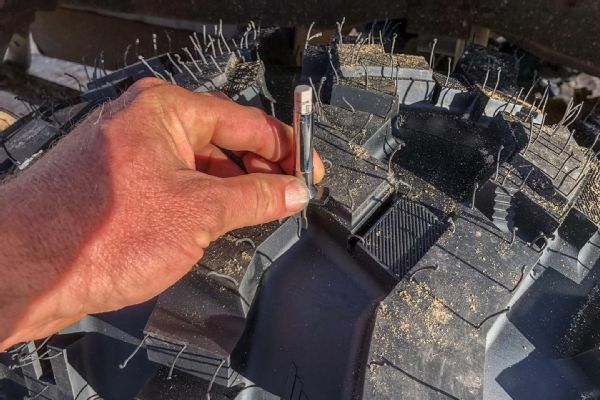 The vertical surfaces of the directional tread lugs on the Pro X are scalloped in the direction of rotation, resulting in scoops that act like paddles in soft terrain such as sand, snow, and mud. We mounted the Baja Pro X tires on a set of Battle Born Wheels’ beadlocks. Battle Born Wheels is relatively new to the scene, but the veteran-owned company is gaining quite a following for its excellent customer service and affordable beadlock wheel offerings. The company’s first product to market was the Gatekeeper steel beadlock wheel, and now it offers the aluminum Bootlegger, which we used. The Bootleggers use a 1/2-inch-thick forged 6061 aluminum ring that is clamped to the wheel with 24 3/8-inch socket head cap screws, which are recessed to protect them from damage. These aren’t conversions on someone else’s wheels; the Bootlegger is low-pressure cast as a beadlock and uses replaceable inserts for the locking hardware. The Baja Pro X is so new that we had to grab them from Mickey Thompson’s semi-truck at King of the Hammers. Mickey Thompson was nice enough to mount the tires up on our Bootlegger wheels so that we could spend the week torture-testing both the tires and the wheels in the rocks, sand, and more. Johnson Valley even experience rain during our February visit to the giant OHV area, allowing us to test the Baja Pro X is slick, nasty, taffy-like mud for which the lakebed is infamous. Our first impression was that the compound used on the tires was so soft that we were worried about tearing the lugs off when we spun the tires, but this proved to be a nonissue, even with our relatively heavy big-block–powered Ford truck. We suspect that some of the technology from Mickey Thompson’s line of drag racing tires found its way into the Baja Pro X to make them hook up in the mud and rocks. We didn’t find a situation where the Mickey Thompson Baja Pro X didn’t dominate—except for the pavement, that is. This is a fairly large concession for most dual-use 4x4s, but the traction offered by the Baja Pro X certainly makes it worth considering for the most extreme situations where tweener tires don’t stand a chance. 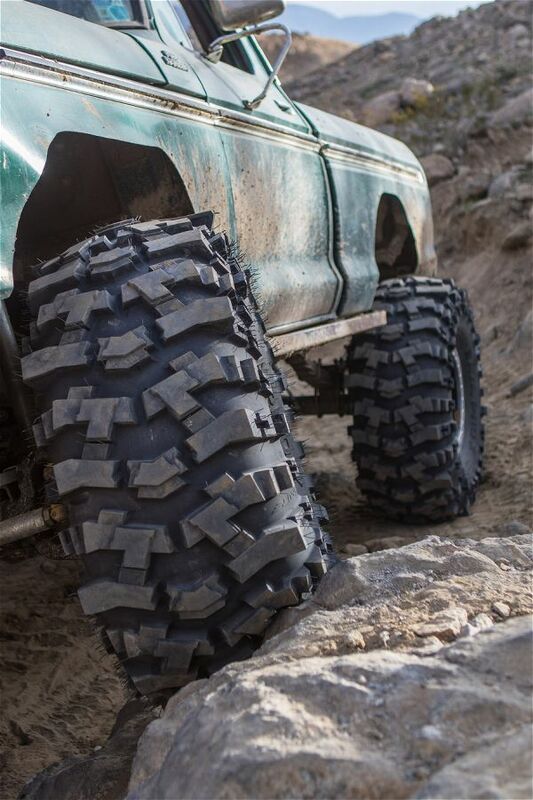 The Mickey Thompson Baja Pro X is a big, heavy, aggressive tire designed specifically for rock bouncing. If you try to run these on Dana 44 axles, you are going to break a lot of parts before you ever break traction. The axles under our 1977 F-150 are a high-pinion Dana 60 and Sterling 10.5 out of a Super Duty. Both run 5.13 Sierra gears and Detroit Lockers, and the front axle has chromoly axleshafts and CTM 300M U-joints to live with the sticky Mickeys.